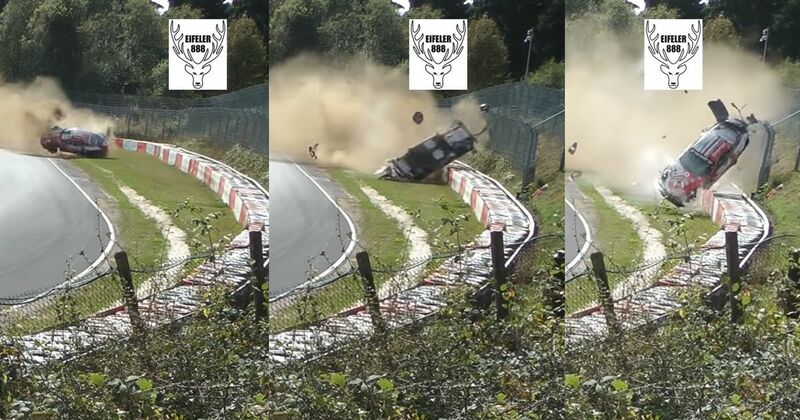 Some people might tell you that if you’re going to crash during a race, you might as well do it hard. If American racer John Shoffner has ever been given that advice, he sure as hell took it to heart. Don’t try this at home, kids. 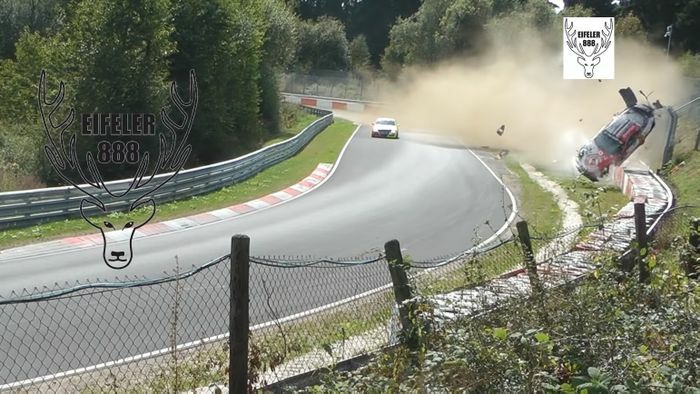 The experienced racing driver lost control of his J2 Racing 911 GT3 Cup just after the Flugplatz straight. The cause of the initial departure from plan A is unknown (probably not an ABS failure), but after the car’s nose dug into the grass on the inside of the turn and began to flip the car over, plan B was to choose a deity and start praying. In this wince-worthy video we can see the 911 entering our line of sight with the crash already happening. The nose digs into the grass, the car rolls up onto its left side and starts to roll like Neymar in the penalty area, with frightening ferocity. The high-speed roll intensifies as the 911 hits the outer barrier. Bodywork starts to strip, despite being fixed on to motorsport spec, and it eventually comes to a teetering standstill on its roof, having flipped upside down 10 times – rolling nine and a half times in total. Shoffner was taken to hospital but, remarkably, escaped injury. Hats off to the roll cage and safety harnesses.